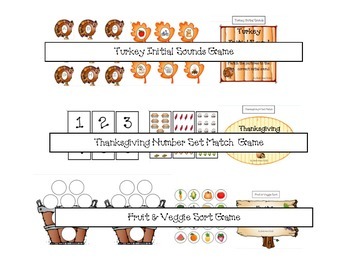 Thanksgiving themed file folder games. Three different games, including: initial sound matching, number set matching, and fruit/veggie sort. File includes all pieces needed to make these colorful and fun games for students to practice their skills. Instructions also included on how to assemble each game.